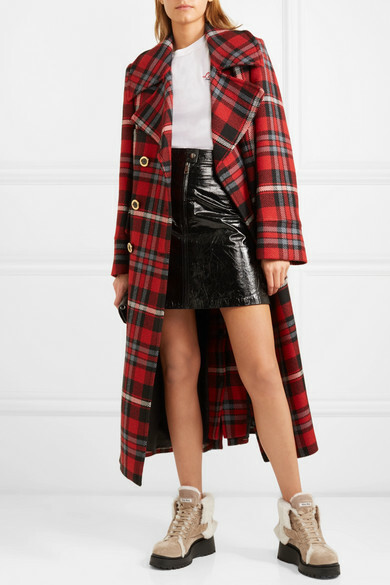 Hiking boots are a huge trend for Fall '18, so Miu Miu's version is sure to keep you really warm while looking cool for the months ahead. 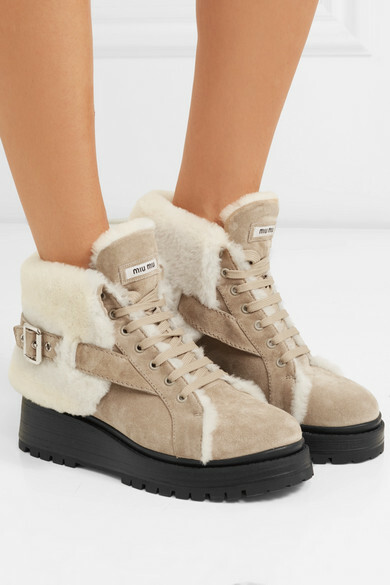 Set on a platform lug sole, this pair is made from thick shearling-backed suede and feels extra cozy thanks to a buckled fold-over panel at the back. 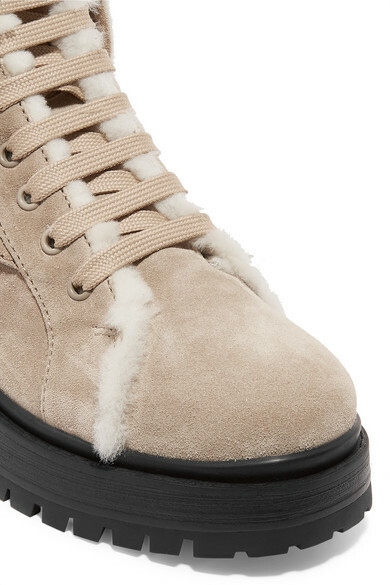 Wear them with a mini skirt or cropped jeans. Shown here with: Vanessa Bruno Skirt, Miu Miu T-shirt, Miu Miu Coat, Miu Miu Shoulder bag.